Watch The Backseat for FREE on Amazon Prime! Around this time in 2012, we were shooting my first feature film, The Backseat. I’m excited to say that the film is now available to stream for FREE on Amazon Prime! Please watch and share with your friends. Making this little movie introduced me to more incredible people than I thought I’d ever have the pleasure of knowing. Much love to the cast, crew, Kickstarter backers, and anyone who supported us at a film festival. The Backseat is AVAILABLE NOW! My feature film debut The Backseat has finally been released! Below are links to places where you can view the film in its entirety. It’ll be coming to even more platforms in the near future. I am so incredibly excited to finally be able to share the film with everyone. Please tell all of your friends! My return to Battleship Pretension! Recently, I returned to the Battleship Pretension podcast. You can listen to it in iTunes or at the link below. Thanks to Tyler and David for such a fun conversation. I recently had the pleasure of participating in a crowd sourced scene by scene remake of Ghostbusters. For my scene, I had Emmy-winner and two-time Tony-nominee, André De Shields, play 8 different roles. It’s one of the strangest things I’ve ever made, and I had a blast putting it together with my amazing crew. Give it a watch and share with your friends! The Backseat acquires distribution with Osiris Entertainment! I am incredibly pleased and thrilled to announce that Osiris Entertainment has acquired the North American rights to The Backseat. You can expect a DVD and digital release this September. 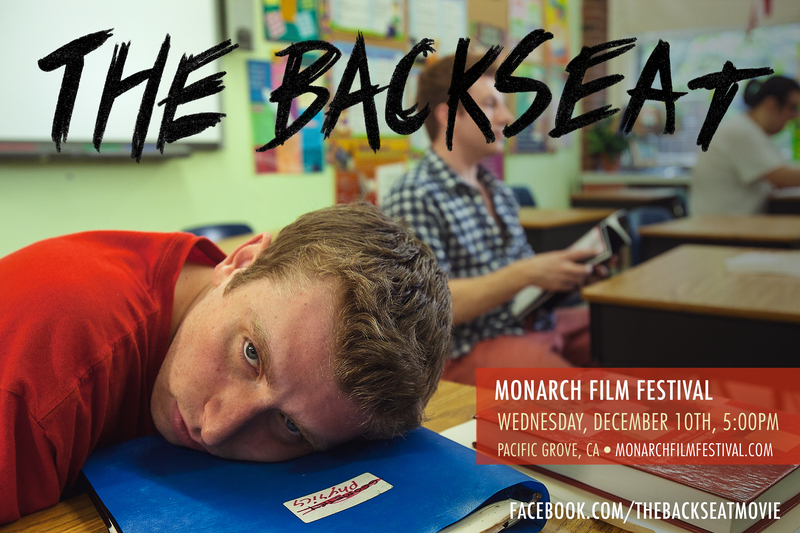 The Backseat’s Monarch film festival screening date announced! Don’t miss out on what may very well be the last screening of our festival run! Some new interviews from The Backseat‘s festival run are now online. The first is from the Laughlin International Film Festival in October. The second is from The International Indie Gathering. Check them out!